As Caller of the Hunt enters the battlefield, choose a creature type. 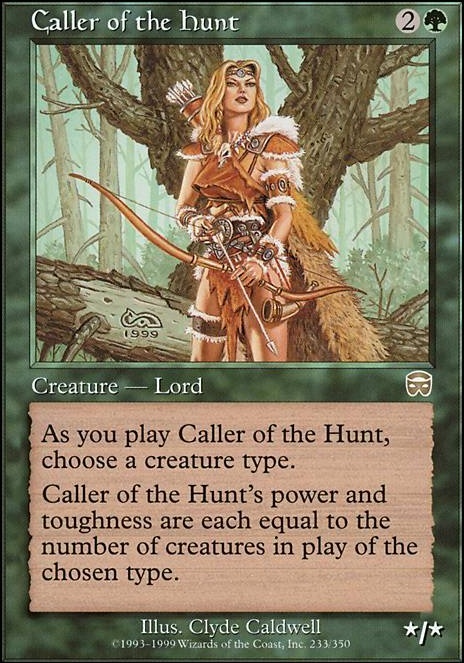 Caller of the Hunt's power and toughness are each equal to the number of creatures in play of the chosen type. I think that cards like Caller of the Hunt, Drove of Elves and Heedless One are average when you are winning, but bad when you are rebuilding your army after a wrath effect, for example. That's why i'm not including them. But Cryptolith Rite is a card to consider, thanks! If you want to punish opponents for having creatures and wreck their fun, Stax is really the way to go. 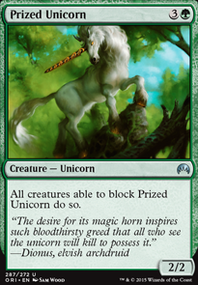 While the mutual nature means you're limited in the creatures you can run, it's still a powerful control archetype. Plague Sliver is a pretty nifty card if you have anyone who runs Slivers, but that's pretty specific. Caller of the Hunt could be a pretty fun card against decks that go really wide. With Olivia, you could capture an opponents creature and sacrifice it to Endemic Plague, but you'll want some way to make your own commander indestructible, lest you kill her as well. 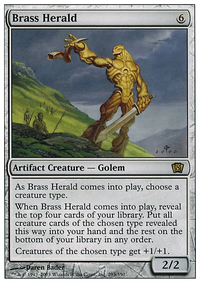 Arbor Elf, Boreal Druid, Devoted Druid Druid of the Cowl are good ramp cards. PhotogenicParasympathetic on Saskia Tribal EDH?? and about a million more. 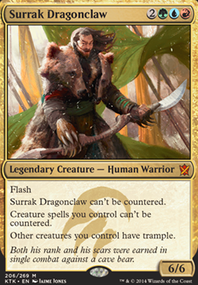 Also I have no idea what you mean when you say Saskia's not the greatest commander. She's pretty freakin' terrifying. You currently run only 7 non-'3 or less' CMC creatures. 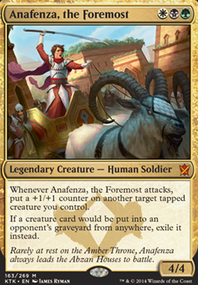 Sure, it may help others out, but seeing as not only your commander, but the majority of your creatures are super cheap, you could easily cut a ramp spell for Aluren. This card is 100% personal preference. Great vs anyone who runs Indestructible creatures. I know you are head over heels going for tribal, and this is a human, so I'm not expecting you to accept this suggestion, but it's still worth a try. Never can really know how lenient people are from the screen of a computer. And if you kind of like it but the non-elf part is really getting you, Conspiracy always works, making everything in your deck, battlefield, graveyard, hand, etc Elves. Is a possible win con. A way slower Aluren, kind of... 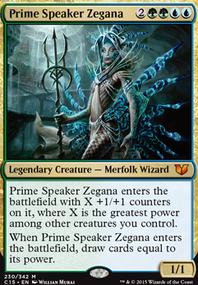 But it still works amazingly well in tribal decks. I see you have Sylvan Library in that maybe board (thanks to albert), but I wouldn't add Descendant's Path until you have Sylvan Library, Mirri's Guile, Sensei's Divining Top, or some other way to make sure you can always get the trigger. As a final suggestion vs players who tend to target your own creatures. 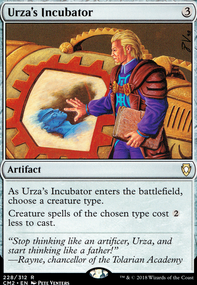 I would always have this in a sideboard, especially in a tournament setting. It's a much cheaper Asceticism that doesn't have the regenerate, and could potentially hurt you seeing as you have a couple things that target your own Elves. But adding it is your decision.